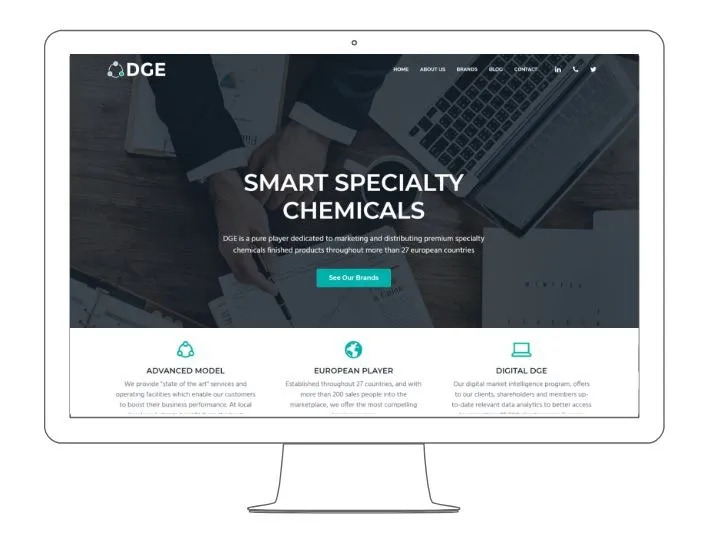 The DGE group, a marketing and distribution network for specialised chemical products have announced today the launch of a redesigned website and its new corporate branding. The change goes beyond traditional rebranding projects, since the main objective has been to transform the old business model to new digital channels. 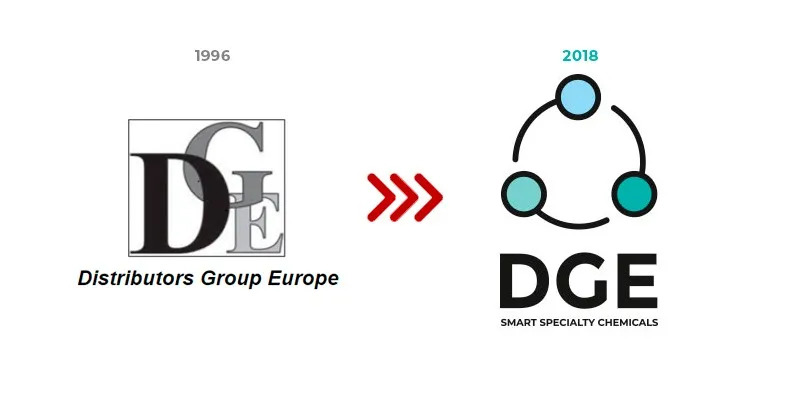 DGE was started in 1996 as Distributors Group Europe b.v.
At that time, the internet was starting to expand, thanks to the creation of the HTML language, but the world was not yet aware of the impact and importance of this new technology. Mobile phones were limited to voice calls, while the majority of communication was done through the landline and using postal correspondence. Nowadays, technology is advancing at lightning speed and changing the way we communicate. Emails are largely replacing postal correspondence and text messages replaced by mobile applications such as RRSS or video conferences. The world is connected, globalisation is evident, and the digital transformation is here. 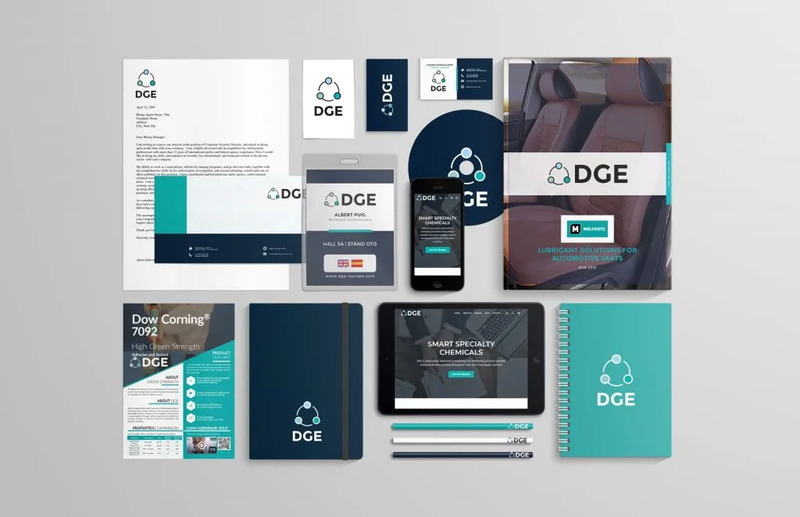 Since the beginning, DGE has managed successful projects with clients while the brand identity has never been changed. 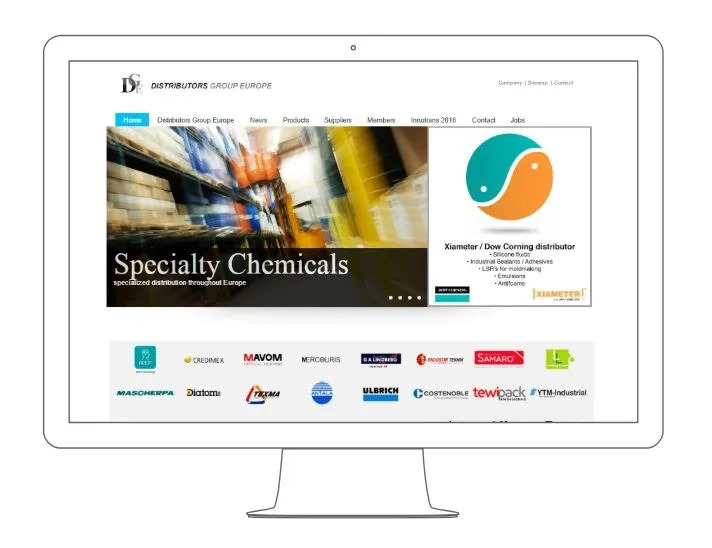 After more than 20 years in the premium industrial chemicals sector, it was time that our branding and web presence reflected the success and transformation of the company. Our new identity strengthens and modernises how we represent ourselves and reflects our core values and future strategy. To support these values, some changes have been necessary, including a redesign of the corporate logo, as well as a website designed with an emphasis on mobile first. It is also important to highlight our numerous digital assets and social networks have been updated to provide open channels for real-time communication. Our new responsive website (www.dge-europe.com) is designed to provide the ultimate user-friendly experience with improved navigation and functionality across all digital devices. 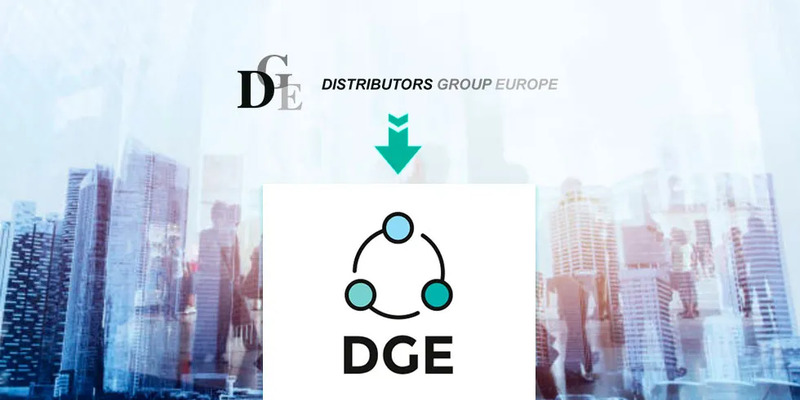 Founded in 1996 through corporate alliances, DGE is a key player in commercialisation and distribution of specialised chemical products across Europe. Established in 27 countries and with more than 200 vendors in the market, we offer an attractive local presence. Our European digital platform and advanced logistics model provides state of the art services and facilities that allow our clients to increase the performance of their business. At a local level, end users can benefit from high quality services such as technical orientation, storage, delivery, after-sales operations and F & A services.